Below are the results and championship standings for the Munro/VMPRA Trophy event which had been re-scheduled from what was to have been the Camperdown race from earlier in the year. If anybody has any photos they would like to contribute to the gallery and/or would like to add an event report, please email them to my usual address email or the below. Further to this, for future events, I’m needing contributions in the form of an event report and photos, as I need to pull back for doing this. Fastest Time: Non-compliant race. Not all pylons were observed therefore fastest time will not be recorded. No change for the lead position but both Leigh Hocken and Beau Murphy moved up into 2nd and 3rd positions respectively displacing Andrew Davies down into 4th position. No change for 1st and 2nd positions, but Barry Murphy has popped up fro 5th to 3rd position. displacing Garry Davidson. No change for the top 3 positions. Please note: We are looking for people willing to write event reports or photograph the events. 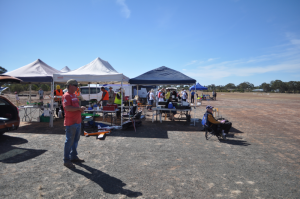 This is an important and valuable to pylon racing in Victoria, Australia and Worldwide as this site has a vast viewership. Here are the results from the event run on November 10-11, 2018 at Barry Murphy’s Munro pylon racing field. Fastest Time: 91.91 – Not recorded (no one on pylon #3). Andrew Davies remains at the top position but Beau Murphy moved from 5th to 2nd position and Daniel Arapakis moved from 4th to 3rd. This season championship will be a combination of F400 & F3T. As of the November Munro event, all future races will be to the F3T rules. The top 2 positions swapped with Jim Orenshaw now leading. 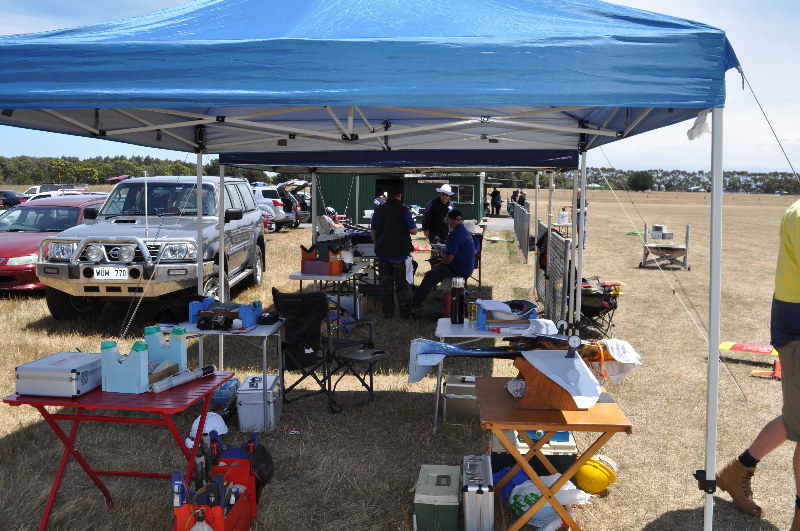 The 2014 AMPRA Championship event was held at the Maryborough club’s field, Queensland on the long weekend of 7 to9 June. Five classed were flown including FA1 (FAI – F3D), F400/F3T, F3R and Q500 Sport. 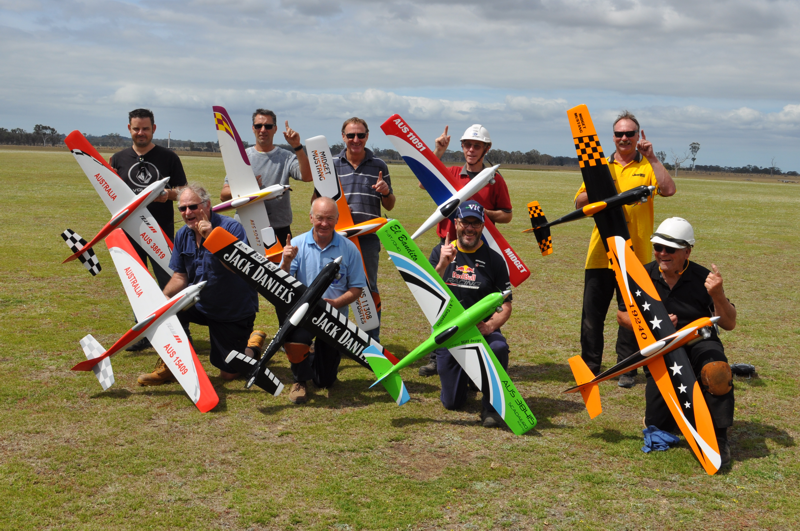 FA1 was the first of a series of team trials to represent Australia at the 2015 F3D World Championships that will be held in Olomouc, in the Czech Republic. In addition to the competition for places on the Senior Team, Daniel Arapakis and Joseph Black, were competing for the opportunity to represent Australia as a Junior. A large contingent from Victoria travelled to the event –either by driving the 4,500 km round trip or flying to Brisbane and renting a car. Most arrived on the Thursday evening and were ready to start practice on Friday morning. The field was in immaculate condition and the club members were on hand to serve up food and drinks throughout the weekend. The weather was also perfect and the forecast was looking good – so everyone was looking forward to the weekend ahead. The first event on the program for Saturday was to complete five rounds of FA1. There were 15 entries – 8 from Victoria. Leigh Hocken, Tyler Mees and Beau Murphy all set an impressive pace, each recording 57 second times. There was plenty of close and exciting racing, however, at the end of Round 5, Leigh was just ahead and had posted a best time of 56.86seconds. For the Juniors, Daniel had posted four scores and Joseph had two scores, with three 200’s. After a leisurely break for lunch, five rounds of Q500 were flown. This class only attracted four entries – half of which were from the Mees family. Two places were awarded to the entry level pilots– with Jack Hickey taking first and Allan Taylor taking second. Tyler Mees posted the fastest time of 106.58 seconds. The day’s racing had progressed very well and was completed by mid-afternoon. 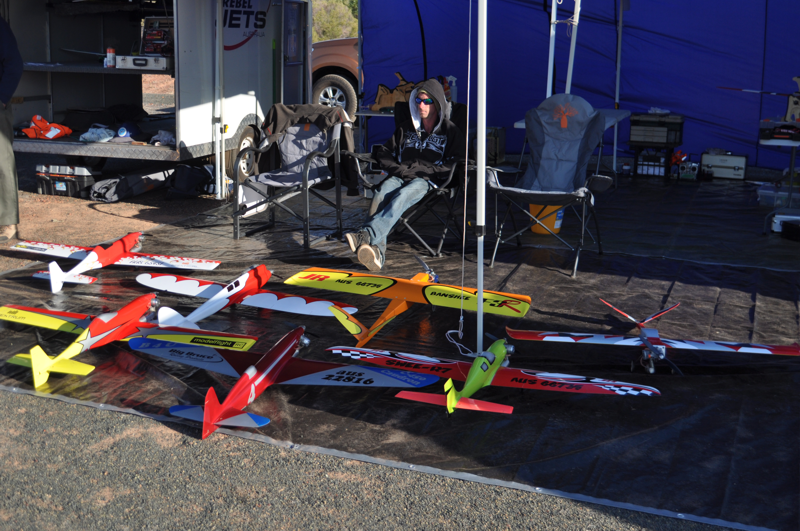 This allowed plenty of time for further tuning of the FA1’s and other models to get ready for the next day of racing. On Sunday morning, the field was closed at 0830 and the timing equipment was set up. Four more rounds of FAI were scheduled for the morning, and the matrix was changed from the prior day. Leigh, Tyler and Beau continued their pace and finished in the first three positions with scores of 407.1, 409.7 and 414.8, respectively. Ranjit Phelan finished the event strongly and ended up with a score of 430.0. Tom Wetherill was fifth with a score of 443.5. 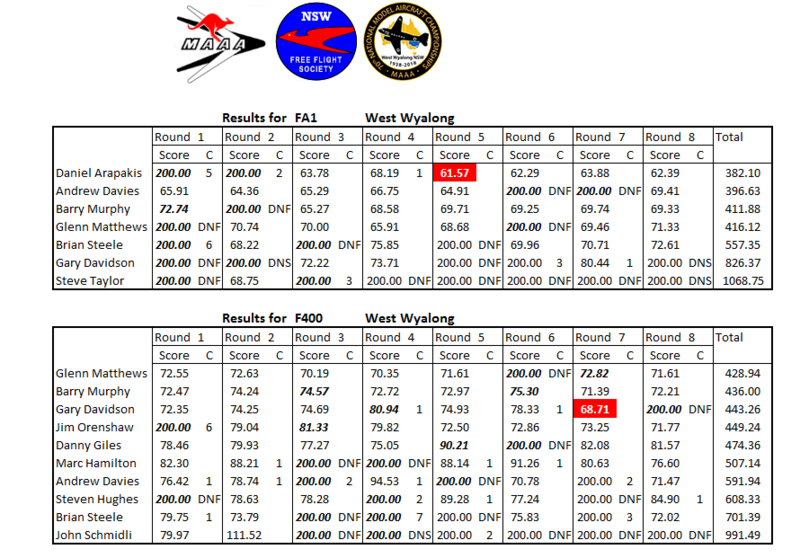 Daniel Arapakis was sixth and the first Junior home with a score of 450.6 – edging out Brian Steele. 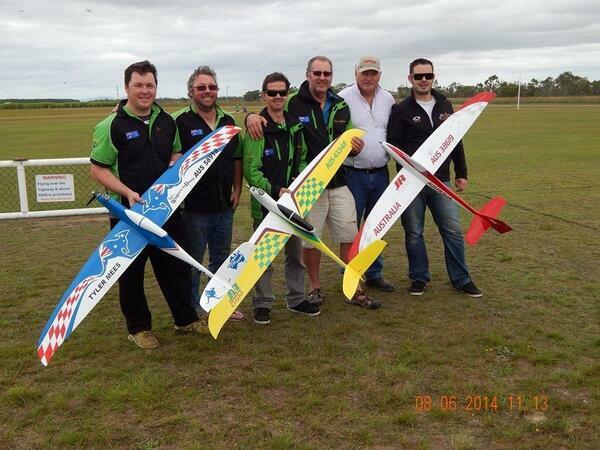 A good result for the Victorian-based racers, who took out five of the top seven placings. In the afternoon, five alternating rounds of F400 and F3T were flown. F400 (no nitro) attracted seven entries from Victoria and New South Wales and F3T (15% nitro) attracted 11 entries from Queensland. There was close racing in both classes. In F400 there was a tie for first place as well as a tie for third place – first time that anyone could remember that happening! In order to break the ties – fly-off’s were held. 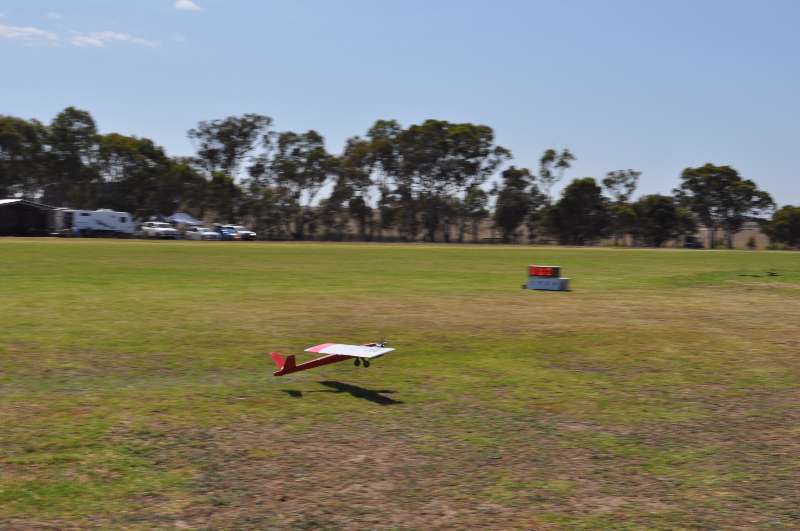 The first fly-off was between Ranjit Phelan and Daniel Arapakis for first place and both pilots had one cut. However, Ranjit had the lower score and took out first place. 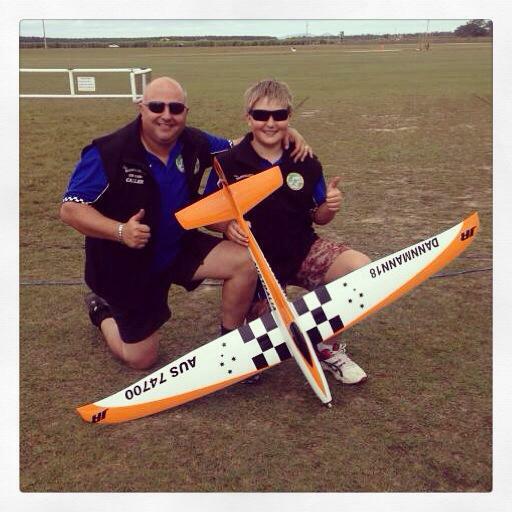 Tom Wetherill and Tony Howse had a fly-off for third place. However, Tony had a cut and Tom Wetherill took third place. The fastest time in F400 was a 65.42 recorded by Ranjit Phelan. In F3T, Greg Gillies was setting the pace with impressive speed from his Nelson powered AR-6. Joseph Black was not far behind after five rounds, with a best of 62.86. An additional two rounds of F3T was flown on Monday morning for the QLD racers, as the Victorians had to start the trip back home. On Monday, the weather turned and became quite windy. 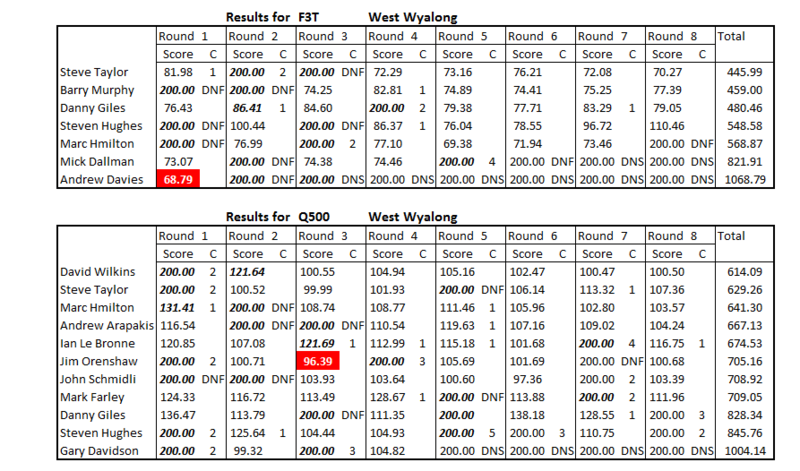 The remaining two rounds of F3T were flown. Greg Gillies placed first with a score of 390.1, Joseph Black was second with a score of 400.3 and Rod Williams was third with a score of 414.0. The last event on the program was F3R, which attracted nine entries from Queensland. Five rounds were flown and Bruce DeChastle had a win by a very narrow margin – 298.9 to 299.0 that was posted by Greg Gillies. Rod Williams was third with a score of 318.7. AMPRA 2014 was very well organised and a great success. The competitors also shared duties working the course and refly’s were a rarity. 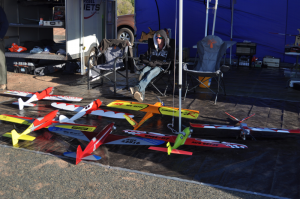 Most importantly, after four days of flying and racing – no models had been lost. The Victorians enjoyed the event, the weather and the local hospitality from the club and the event organisers. Report: Tom Wetherill (Thanks fro a great report Tom).